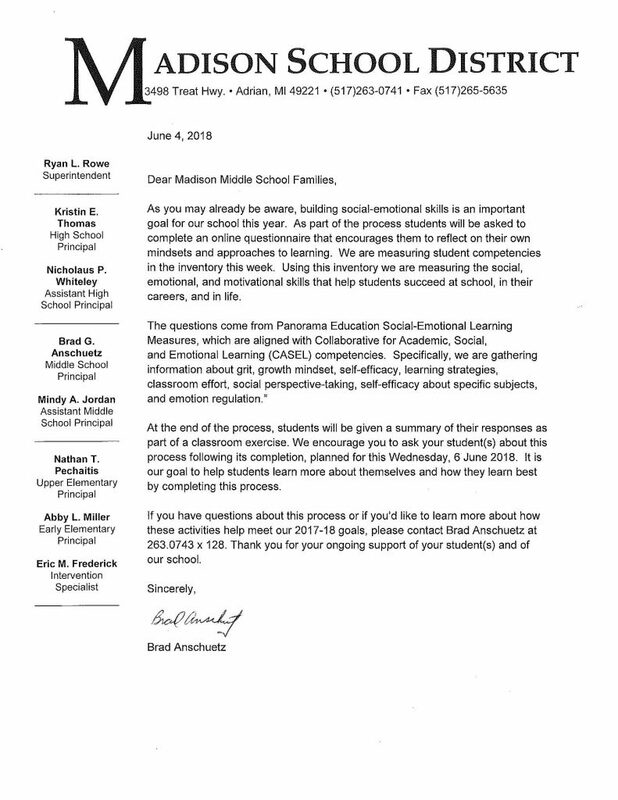 Madison Middle School students will take the Panorama Education Social-Emotional Learning Measures inventory this Wednesday, 6 June 2018. This is an on-line survey aligned with Collaborative for Academic, Social, and Emotional Learning competencies. Mr. Scott Hall (6th grade), Mrs. Emily Gafford (7th grade), and Mrs. Jill Brandeberry (8th grade) will host the survey in their classes.